Across the country, hundreds of thousands of people sit in jail cells every day on trivial charges simply because they can’t afford bail. Photo by the author. Last Tuesday evening, the usually quiet meeting room of the Atlanta City Council’s Public Safety Committee was so packed that a fire marshal had to order part of the crowd into an adjacent chamber to watch the proceedings on television. Dozens of people turned out to discuss a landmark city ordinance, passed last February, that abolished cash bail for some misdemeanors. The new law was meant to end undue suffering stemming from cash bail in cases like that of Sean Ramsey, a homeless man who Atlanta police arrested in October 2017 for holding a sign asking for help while standing on the sidewalk. Ramsey spent 72 days in jail because he didn’t have $200 to bail himself out. Across the country, hundreds of thousands of people sit in jail cells every day on trivial charges simply because they can’t afford bail. Recent events in Atlanta show that while more and more progressive officials are embracing bail reform, the optics may be better than the actual results. Under Atlanta’s new law, people arrested for these kinds of minor infractions can be released on “signature bond”––a promise to show up in court. But even though Atlanta City Council members unanimously passed the measure, some of them now say it undermines operations at the local jail, and they’re calling for a redo. Community members are also dissatisfied with the outcomes of the new law, though for a different reason. Many of the people who showed up for the Public Safety Committee meeting belong to organizations that advocated to get rid of cash bail and viewed the February vote as a victory, if only a first step. But now they say that the law isn’t being properly implemented: many arrestees who should be freed on signature bond are still stuck in the city jail. There’s a growing national movement to end money bail––a practice that has created a two-tiered criminal justice system in which wealthy people walk free while poor people are locked up solely because they can’t buy their way out. The impacts on people who have to await a court date in jail are devastating; they can lose income, jobs, housing, custody of their children, and even their lives. The effects are most severe in of communities of color, where policing tends to be concentrated and racist policies have created perpetual economic depression. For the past two years, Southerners On New Ground, a queer liberation organization that centers Black feminism, has led a national effort to bail Black mamas out of jails across the country ahead of Mother’s Day. The group’s efforts have raised awareness about the ravages of the bail system and advanced reforms rooted in an abolitionist vision of ending mass incarceration. Now several cities, counties, and one state––California––have passed bail reforms that go to various lengths toward replacing cash bail with alternatives, such as signature bond. Community members in Durham North Carolina bailed Black mamas out of jail ahead of Mother's Day as part of a national effort led by Southerners on New Ground. Photo by Kelly Credon. But the recent events in Atlanta show that while more and more progressive officials are embracing bail reform, the optics may be better than the actual results. After legislation passes, the problems presented both by implementation and backlash are where the rubber meets the road, and substantive changes either happen––or don’t. A bail bond company in Atlanta. Photo by Anna Simonton. Yet, according to SONG and the Southern Center for Human Rights––a legal organization that also pushed for the bail reform and monitored the courts––corrections officers have continued locking up people on nonviolent charges. On top of that, they found that judges further violated the new ordinance by neglecting to ask defendants about their ability to pay before setting a cash bond amount. This violation occurred in 95.5 percent of cases according to SONG. City council members refused to address these findings during the Public Safety Committee meeting, instead focusing on presentations by law enforcement officials. The bail reform ordinance included a requirement that the Atlanta Corrections Department Chief, Patrick Labat, monitor the effects of the new law and report back to the committee after six months. SONG, SCHR, and others called on the committee to postpone the review after a massive cyberattack in March disabled city departments from collecting data for four months out of the six-month review period, but committee members forged ahead. The jail’s average daily population shrank from 439 in February to 137 in September. Chief Labat’s seemed to believe that staying out of jail was a missed opportunity for those hundreds of people. Chief Labat, who oversees the Atlanta City Detention Center spoke at length about inmate work detail (which he noted is not “slave labor” but the “crown jewel of everything we do”) and a job training re-entry program that he described as being “in the business of changing lives.” At first it was unclear what these programs had to do with bail reform. Later, Chief Labat said that as the jail population dwindles, fewer people will have access to these work and training activities. Even though the bail reform ordinance isn’t being fully implemented, between the new law and Mayor Bottoms’ recent decision to stop collaborating with ICE––which held immigrant detainees at ACDC––the jail’s average daily population shrank from 439 in February to 137 in September. Chief Labat seemed to believe that staying out of jail was a missed opportunity for those hundreds of people. He also implied that bail reform was bad for homeless people who, he said, “don’t want to leave” the jail when they are released. “We should not be using talking points stolen from the Confederacy playbook, saying, ‘Prisons are kind because massa feeds us.'" Tiffany Roberts, an SCHR attorney, leveled a damning critique at the idea of jail as a social service agency. “We should not be using talking points stolen from the Confederacy playbook, saying, ‘Prisons are kind because massa feeds us,’” she said during a public comment period. Council members were also concerned about the increase in Failure To Appear charges. That’s when a person released on bond doesn’t show up for their court date. According to Atlanta Municipal Court Chief Judge Christopher Portis, the number of FTAs in July 2018 was double that of July 2017. However, she was proven wrong by Chief Labat’s presentation, which included a list of the top ten charges for which people had received signature bond since February. Half were traffic violations. The rest were non violent charges including theft of less than $100, marijuana possession, and distributing drug-related objects. “It’s deceptive to suggest that violent offenders are the ones benefiting from this ordinance,” Roberts, the SCHR attorney, asserted in her public comment. A slide from Chief Labat's presentation, showing the most common charges of people who are released from the Atlanta jail on signature bond. She went on to remind council members that the bail reform ordinance included a provision about using cost-savings from locking up fewer people to invest in resources that prevent FTAs. She said text-messaging systems that send automated court-date reminders have been proven to work in other jurisdictions. No council members have followed up on that provision. “You have not done your due diligence,” Roberts told them. As the five-hour meeting wore on, it became increasingly clear that some council members, especially Bond, regretted passing bail reform. The heart of the matter in his view seemed to be the law’s failure to address the problems that aren’t solved by simply replacing cash bond with signature bond. Where do homeless people go when they are released? How do people without adequate transportation options get to court? What happens to people who cycle in and out of jail because of poverty and other adversities? The irony in attacking the bail reform ordinance for not addressing these important questions is that the original legislation did. SONG advocated for a provision in the ordinance that would have established a commission to “study the bail system in the City of Atlanta, identify gaps in court and community resources, survey relevant stakeholders and report findings with recommendations to the City Council.” But that provision was axed as council members debated the details of the legislation. Atlanta City Council Members Cleta Winslow and Michael Julian Bond. Screenshot from Atlanta Channel 26/ATL26 broadcast of the September 25, 2018 Public Safety Committee hearing. 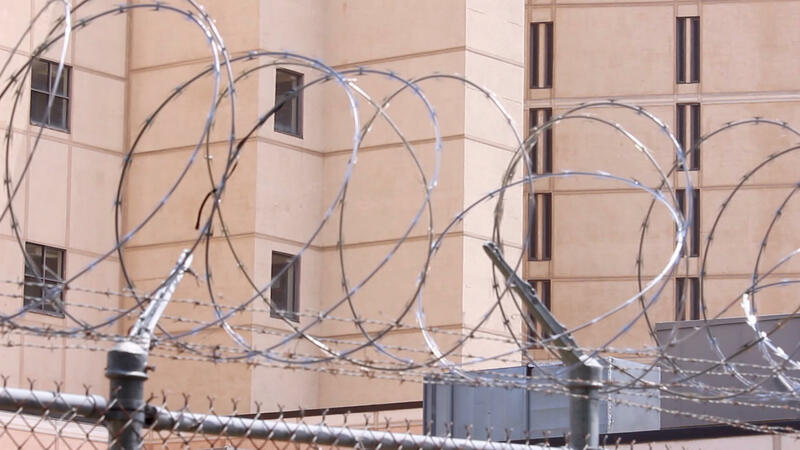 “We’ve been asking for a needs-assessment that would determine what people need to get back to court and stay out of jail,” Kate Shapiro, SONG’s membership director, explained in an interview with Scalawag. In a rejection of the needs-assessment idea, Councilmember Winslow took a patronizing tone and lectured the crowd, claiming that it’s the job of Fulton County and nonprofits, not the City of Atlanta, to provide social services. Formerly incarcerated people, including Marilyn Winn, who is the lead organizer of Women on the Rise, implored council members not to give up on a comprehensive bail reform. Council members will have the opportunity to take up Winn’s challenge. In an impassioned speech at the end of the meeting, SONG Co-Director Mary Hooks asked them––and they agreed––to hold a public work session, where organizations like SONG, Women on the Rise, and SCHR can present their research and collaborate on crafting solutions.